Do you want to make your business look more professional websites, or maybe you want to have a website for yourself, or any other imaginable reason why you want a website, but don't want to spend all your savings on it? 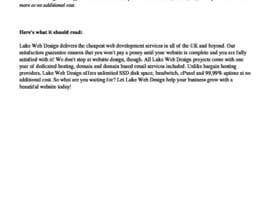 Well, Luke Web design company UK has got you covered! if you find any other company that have quoted you cheaper - We will beat that price! Do you want to make your business look more professional by having a website, or maybe you want to have a website for yourself, or any other imaginable reason why you want a website, but don't want to spend all your savings on it? 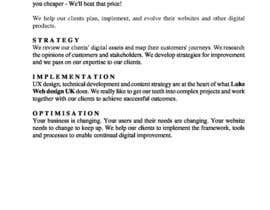 Well, Luke Web design UK has got you covered! if you find any other company that have quoted you cheaper - We'll beat that price! You could at least rate all the entries before declaring the winner. That's good to know Sir! Please check my updated work in the description. Cheers! Your website is getting redirected to https://hexservices.co.uk/. Both sites have certificate issues and one cannot proceed further. Can you please check? 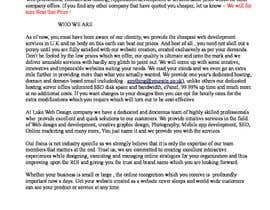 The owner of www.lukewebdesign.co.uk has configured their website improperly. To protect your information from being stolen, Firefox has not connected to this website. Please advise if you just want a rewrite of that paragraph because your site cannot be accessed. 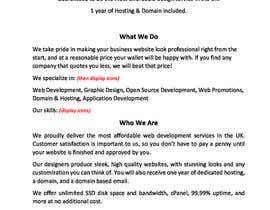 Not good English so here is how I would change it: Do you want to make your business look more professional by having a website? Perhaps you would like to have your own website? Well you could be pleasantly surprised! 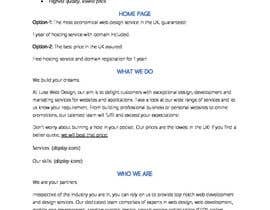 Luke Web design UK have the best value website creation services and we can find a domain name for you that suits your needs at a price that will be affordable and competitive. If you find any other company that have quoted you cheaper - We'll beat that price!